Tired of Microsoft Office getting having a fit every time you open a downloaded Outlook email attachment? 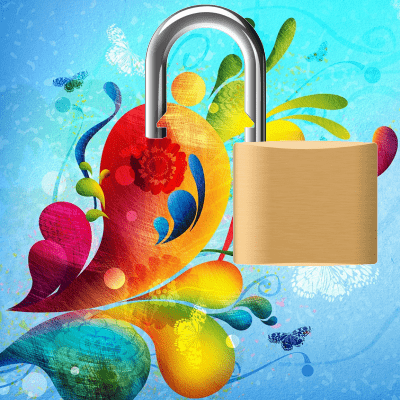 Here’s how to disable protected view for Outlook email attachments in this groovy tip. 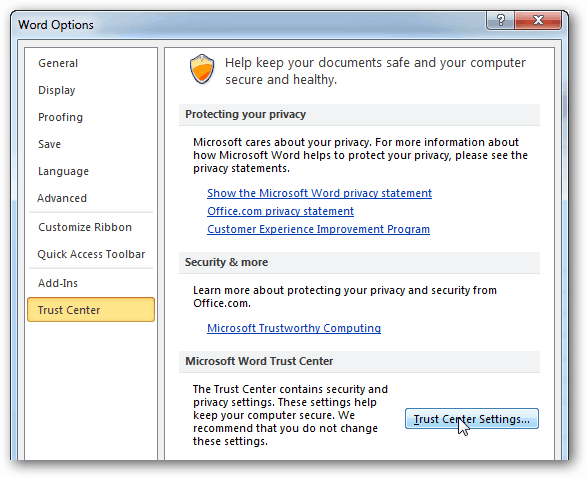 Anytime you download a file and then open it in Microsoft Office, the office program will autonomously enter Protected View. In protected view you cannot make modifications to the file, only view it. This also applies to email attachments downloaded via Outlook. It’s a helpful security feature, but if you only download documents from trusted sources, this feature is more annoying than useful. 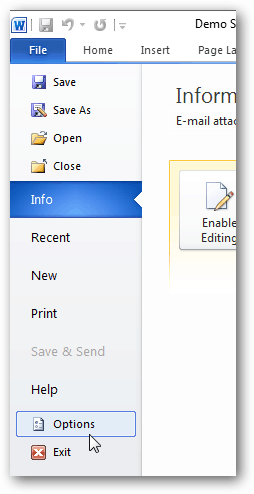 To disable it, open Microsoft Word, Excel, or Powerpoint, etc… and then click File >> Options. From the options menu select Trust Center > Trust Center Settings. In the trust center go to the Protected View tab and then uncheck the bottom box titled Enable Protected View for Outlook attachments. Click OK to save changes and apply. 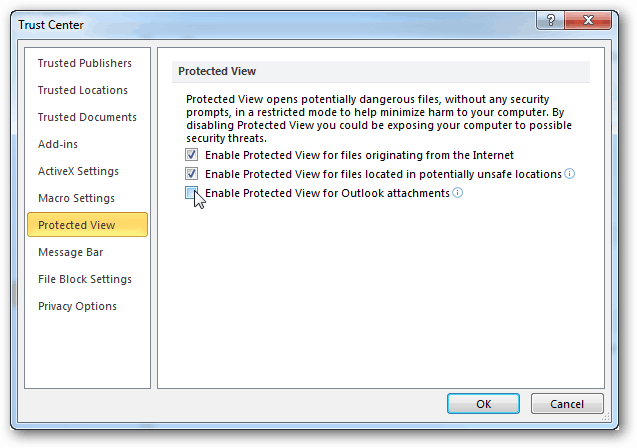 Now anytime you open an Outlook email attachment that’s an Office document, the protected view notification won’t bug you anymore. This is GREAT to know! Thanks alot! I tell everyone they should sign up for your tips. They are so useful! Thank you! I got this problem last week. I still don’t know why it started doing this but I’m glad you helped me fix it.